We did a roll call in the room where Title III bankruptcy proceedings are held, in the unincorporated territory of the United States. Here are the details of those who require payment of the debt, their groups of interest and their conflicts. Will they go ahead with their claims after Hurricane Maria catastrophe? Hearing room #3 of the U.S. District Court in San Juan is full; the words that are heard among the collective murmur are in English. They are pronounced mainly by white men in dark suits who become silent all at once, when a black woman enters: federal bankruptcy judge Laura Taylor Swain. Is August 9, forty minutes before the session begins, the third one under Title III of the federal PROMESA Act (Puerto Rico Oversight, Management and Economic Stability Act of 2016), where the government of Puerto Rico’s bankruptcy case is being discussed. Here, you can feel the tension for the legal battle to collect $74.7 billion in debt, the biggest in history for a U.S. jurisdiction which will have repercussions upon the entire population and people not on the island. This debt is added to the pension system obligations, which reach $49 billion. The crowd of more than 100 lawyers in this hearing room should not be confused with representation of the majority of the people that the case impacts. Many of the people holding government debt are not represented, for example, the so-called individual bondholders: rookie investors who trusted their savings to mutual funds such as Franklin Advisers and Oppenheimer Funds, or brokerage houses such as Popular Securities, UBS, or Santander Asset Management. On the contrary, the legal battle for public funds under Title III is carried out by specialized investors: mutual funds companies, hedge funds experts in litigating to collect debt, and bond insurance companies (monolines) responsible for paying their clients’ total debt. Assurers are jointly claiming $21 billion, according to the certified Fiscal Plan. The litigation by the lawyers of these companies, with large amounts of money to win or lose on Puerto Rico’s debt, sometimes becomes violent. “I’m from Queens (New York) and I remember that when you don’t pay, there are consequences,” said during the hearing Susheel Kirpalani, attorney for the investment firms that comprise the Cofina Senior Bondholders Coalition, in obvious reference to the underworld’s common practice, where the debtor is threatened or murdered. The debtor in this case is the Commonwealth of Puerto Rico, which is supposed to be represented by the Fiscal Oversight Board imposed by U.S. Congress a year ago by approving the PROMESA Act, to have the government pay and be able to issue debt again. If the scenario was complicated, after Hurricane Maria comes a new bill for the government of Puerto Rico that could surpass that of the government debt: damages caused by the storm could fluctuate between $45 billion and $95 billion, according to estimates from Moody’s. According to Gov. Ricardo Rossello, only $2 billion is left in the Treasury Department’s account, so the government warned that it could run out of money in October. Since June, the Fiscal Control Board warned that the government could run out of money for the payroll of public employees in November or December. The question everyone has in mind is whether investment firms claiming millions in debt will go ahead with their claims under the new landscape of the country; which almost a month after the storm has more than 5,000 refugees, food and potable water rationed, with only many hospitals in partial operation, 90% of the island without electricity service and general failures in all communications. In fact, Goldman Sachs Asset Management (GSAM) bought $120 million in the General Obligation junk bond issue made by the government of Puerto Rico in 2014, while Goldman Sachs & Co., another of The Goldman Sachs Group divisions, was one of the banks in charge of selling the issue. In 2015, GSAM came to have $1.3 billion in bonds from the island. The mutual Oppenheimer Fund claims the largest amount of debt under Title III of PROMESA, according to a list generated by the Center for Investigative Journalism from documents submitted by lawyers of the firms in the Puerto Rican government bankruptcy case. Oppenheimer claims $4.9 billion in General Obligation bonds, Cofina, Highways and Transportation Authority and the Electric Energy Authority (known as PREPA), through 16 funds belonging to the Mutual Fund Group. Franklin Funds, a mutual fund belonging to the same group, ranks second with $1.8 billions in General Obligation bonds, Cofina and PREPA, distributed in 22 funds. Although they are also mutual funds, the UBS Puerto Rico Family of Funds, managed by UBS Asset Managers of Puerto Rico, are not part of the Mutual Fund Group. They are in third place, with $1.4 billion distributed in 89 funds with Cofina bonds, the Highway and Transportation Authority and Retirement System bonds. Puerto Rico government’s top three creditors between 2013 and 2016, Oppenheimer, Franklin and UBS, paid $378 million in fraud fines to the Securities and Exchange Commission (SEC) and the Financial Industry Regulatory Authority (FINRA). In the case of Oppenheimer and UBS, the SEC fined them for “improper sale” of island bonds. Aside from the fines from the regulatory agencies for which UBS has had to pay millions, the amount they have paid individuals for lawsuits and settlements outside of court regarding the sale of Puerto Rico bonds could be close to a billion “and growing,” one of the lawyers who brought cases against the brokerage house told the CPI. Due to the hurricane, Judge Swain postponed until further notice the general view of Title III that would take place on October 4 in the Federal Court of San Juan. But the case continues, with an argumentative view to be held on September 27 and held on Oct. 4 in a New York court. And while almost all of the island is offline, lawyers of the parties interested in the process have not stopped submitting motions in the digital docket of the case. The PROMESA Act is a new type of social experiment whose consequences are beginning to show: a Control Board that claims the territory’s laws do not apply to them, that ordered a furlough, and though it went to court to enforce it, then gave up after Hurricane María; cuts in services such as education and health, privatizes public assets, increases in water rates, and general austerity measures, without consulting or showing studies or arguments that support the benefits of those policies. 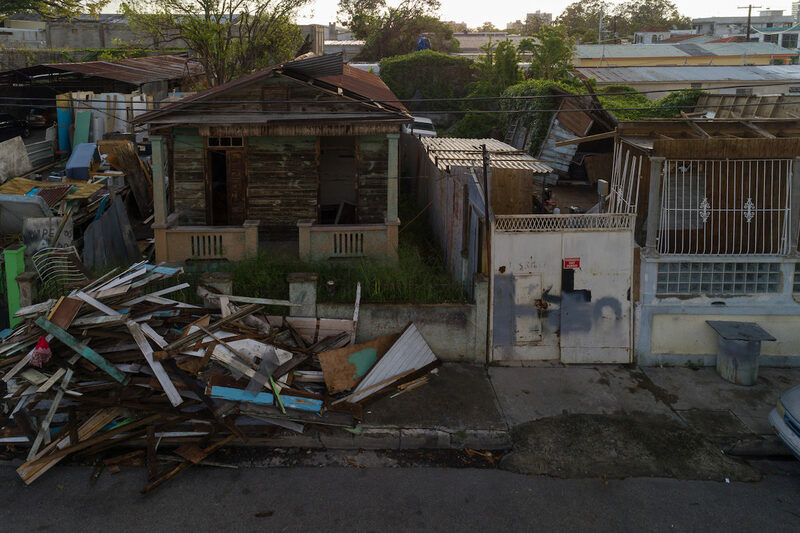 The Title III process, which is the last chance PROMESA offers the unincorporated territory to negotiate and pay its creditors, treats the island as a guinea pig, testing a bankruptcy code that has never been implemented in the United States. After being tested on the island, it could be applied to other territories. So far, the bankruptcy cases being heard in court are those of the central government, the Sales Tax Financing Corp. (Cofina), the Puerto Rico Highways and Transportation Authority, the Puerto Rico Electric Power Authority and the Retirement Systems Administration. The bonds issued over the years by each of these entities are now the object of a great legal battle. The investment firms that lead the race have formed groups according to the type of bonds they hold: they hire law firms and act as an alliance that can vary in membership (some enter, others leave) during the process of trying to collect their debt. It also happens that depending on how convenient, not all the names of the firms belonging to the group are made public. The Mutual Fund Group is the one that claims the largest amount of debt with $7.2 billion in various types of bonds, and is comprised, in addition to Franklin and Oppenheimer Funds, Santander Securities (First Puerto Rico Family of Funds), that accounts for $478 millions in General Obligation bonds, Cofina and Highways and Transportation Authority bonds. Santander Asset Management paid $8.4 million for two fines, one in 2011 and one in 2015, issued by FINRA. Among the groups represented in the Title III process are the Mutual Fund Group, the Cofina Senior Bondholder Coalition, the Ad Hoc Group of General Obligation Bonds, the ERS Secured Creditors, and the QTCB Noteholders Group. There are firms that don’t belong to any group, such as Goldman Sachs and UBS. Also, there is the Puerto Rico Electric Energy Authority’s group of bondholders. The insurers Insured Guaranty, National Public Finance, Ambac Insurance, Syncora and Financial Guaranty are also part of the litigation, but are not in a group. The Ad Hoc Group of General Obligation bonds began with more than 30 firms and now the group in court reportedly have seven, while the Cofina Senior Bondholders Coalition has been adding members, with 44 so far. Both groups were formed before the start of the Title III case, perhaps in anticipation of what was coming, and are now the main rivals within the case. The Cofina Coalition requires $3.2 billion in bonds and the Ad Hoc of GO’s claims $3.3 billion. The Employee Retirement System (ERS) Secured Creditors claims $3 billion in bonds from the Government Employee Retirement and Judiciary Retirement System (ASR). The approved Fiscal Plan and a Control Board memorandum on retirement pension reform include a 10% annual reduction in pensions. According to these group of bondholders, government contributions to pensioners are the source of repayment of their bonds. On the other hand, the QTCB Noteholders Group says it has $690 millions in bonds from the Public Building Authority. All these groups are dominated by vulture funds, with the exception of the mutual funds and its groups. A 2016 report from the United Nations Conference on Trade and Development warns that vulture funds can undermine the orderly restructuring of sovereign debt. And although Puerto Rico’s debt is not considered sovereign because of the colonial relationship between the island and the United States, the strategies deployed by these investment firms in the purchase of Puerto Rico bonds and in the bankruptcy process are just the same described in the UN report and by other experts to define the vulture funds. “In the context of the restructuring of a public debt, its role is essentially that of vultures,” the report says. “The vulture funds are ‘patient bondholders’ in the sense that their legal and financial power allows them to oppose restructuring and any reduction in the value of their bonds that this may entail.” By opposing a restructuring, “they make the process slower, more difficult and uncertain, causing economic and social costs for the debtor country in need of debt relief. The prey of these funds is the debtor country, but in the process, they can hurt other creditors by rejecting some form of burden sharing among bondholders,” said the report, prepared by senior economist at the Paris-Dauphine University, Edgardo Torija Zane. Using these parameters, the CPI identified at least 24 vulture funds distributed among the groups that have been formed to fight for the payment of the debt under Title III in Puerto Rico. There are firms of international fame for their aggressiveness when it comes to collecting debts from countries in crisis, such as Aurelius Capital, who opposes any debt cuts and in a lawsuit argues that the PROMESA law violates the US constitution, and therefore request that the Title III case be dismissed. They oppose restructuring and argue that the government must use all its resources to pay off General Obligation’s debt. Tilden Park, Värde Partners, Whitebox, and Autonomy Capital, are firms belonging to the group in the Tittle III that appear in the 2016 Top 100 Hedge Funds (Barron’s). Apart from law firms and legal tactics in the negotiation process, there are individual bondholders. They are not part of organized groups or official committees, and if they decide to enter the case, they will have to pay for their legal representation. “We are not members of any organized group,” an agricultural worker referring to his family who asked for anonymity said. He has Cofina, General Obligation and Puerto Rico Electric Power Authority (PREPA) bonds. “There are Senior and Subordinated Cofina bonds; everybody has everything, because at that time, when I bought it, I did not know what was subordinated or Senior, or anything. You bought what was available… I bought them from Popular Securities, I liked them because they are from here,” he said before emphasizing his preference for that bank. The worker and his family hired a lawyer who already submitted a proof of claim for each of the cases where his clients have bonds. “That proof of claim is the claim of each individual that is being filed for the purpose of stating that they have that claim, so that when the time comes for a distribution (of money,) they are not left out,” said the lawyer, who asked not to be identified. “Right now (my clients) have no participation in the negotiations, because the Control Board submitted a document for the approval of the judge to appoint a representative for General Obligation bonds and another for Cofina; with the purpose of carrying out a mediation procedure aimed at reaching an agreement regarding the controversy between these two types of bondholders. I imagine that when the time comes for this mediation, the organizations that are established and have their representatives and groups formed (in Title III), they will participate in them and at that time if we believe we must participate, I would do so on behalf of my clients,” he added. Meanwhile, although it costs him, the lawyer is observing the process at a distance. Attending in person to be heard is even more expensive, since you have to pay $300 to the Court to submit a motion of appearance. “Individual bondholders are not really represented (in the Title III case). It is too expensive and it takes too much time for them to get involved and try to influence a solution. It is different for institutional investors who have made bigger bets, like portions of their companies’ assets. The exception is hedge funds, bond insurers and some mutual funds, for whom it makes sense to get involved,” said Matt Fabian, a municipal bond market analyst and a partner at Municipal Market Analytics, in an interview with the CPI. The Mutual Fund Group and the Ad Hoc Group of General Obligation bonds have conflicts of interest in the Title III case because they have several types of bonds that are in dispute with each other. For example the Franklin mutual fund, which is part of that mutual fund group, is also in the Ad Hoc Group where it adopts the same legal strategies that characterize the vulture funds that dominate the group. The Cofina Senior Bondholders Coalition is represented by individual and retired bondholders, but is controlled by vulture funds such as The Baupost Group, one of the biggest of the world, Canyon Partners, GoldenTree Asset Management and Tilden Park Capital Management, which require its clients a minimum of investment that fluctuates between $1 million and $5 million. On the other hand, there is the case of the UBS and Santander Asset Management funds, which claim in Title III that they be paid debts related to bond issues for which they have been sued. Lawyers who intervene directly in the bankruptcy case come to the Federal Court before 8 a.m., pass the checkpoints, and eat lunch at the cafeteria on the 7th floor, segregated like tribes at the lounge tables. Many work for the most quoted firms on Wall Street, and for every foreign firm there is a local firm hired. For now, more than 55 law firms on the island have been recruited by creditors to represent them under Title III of the PROMESA law. If any sector will experience economic development during the crisis, this will surely be one of them. “Some people or entities hire a law firm in the U.S., in which two, three, or four lawyers from the same firm advise and represent them. Such law firms can not come to Puerto Rico to practice and appear in court if they are not admitted to the practice of law here, or in the U.S. District Court, since it is necessary to pass an exam to be admitted to practice there. Therefore, they have to hire attorneys in Puerto Rico admitted to that court to endorse their request to be allowed to appear pro hac vice (for this case or for this occasion,)” said Carlos Rodríguez-Vidal, of the Goldman Antonetti & Cordova law firm that represents insurer Syncora in the Title III case. In the court lobby, Arthur González, a member of the Oversight Board, talks to Jaime El Koury, legal counsel for that entity. The voices sound like rumor in the void. You hear soles sticking to the floor, the sound of heels and the rattling of briefcases that roll full of documents. Some law firms may also have conflicting interests. For example, Puerto Rican law firm McConnell Valdés was hired as a lobbyist in the House of Representatives in 2016 by two firms from the Ad Hoc Group of General Obligation bonds, Aurelius Capital and Stone Lion Capital. At the same time, it is a legal representative of Autopistas de PR, LLC, Autopistas Metropolitanas de Puerto Rico, Puerto Rico Telephone Company (Claro) and Rexach Hermanos Inc, in the Title III case. Any collection claims by these companies to the government could be in contrast to the claims of Aurelius Capital and Stone Lion that the state must use all available resources to pay General Obligation debts. Lawyers and advisors to these firms enter Judge Swain’s chamber, including Matt Rodrigue (without z), general manager of Miller Buckfire Bank, which advises the Cofina Senior Bondholders Coalition, along with Rafael Escalera, of the local law firm which represents that group, Reichard & Escalera. Wearing a bowtie, Hermann Bauer, a lawyer at the O’neill & Borges law firm, joins stateside firm Proskauer Rose on behalf of the Board; and Andrés López, a lawyer for AAFAF, who was mentioned last year as one of the possible candidates to join the Board and who has his office in San Juan. The AAFAF also has an $18 million contract with U.S. law firm O’Melveny & Myers for Title III. When the judge enters, all go silent and stand, as if in church. Swain says “Good morning,” in Spanish, and the hearing begins, in English. Almost seven hours later, a black SUV with a sliding door and darkened windows picks up the lawyers from the U.S. law firms and transports them in groups to the hotel, or directly to the airport. Before hurricane María, the US outlet The Intercept contacted 51 Puerto Rico creditors to ask them if they would support a moratorium or cancellation of the debt, due to the humanitarian crisis of the people living in the Island. They also asked if they would do any donation because of the emergency. From the 51 bondholders contacted, only Goldman Sachs, Citibank and Scotiabank answered, who donated together $1.25 millions for Puerto Rico and other zones in the Caribbean. Also, the Cofina Senior Bondholders Coalition sent a press release where they say that they will make a donation to the American Red Cross, Puerto Rico Chapter, without specifying the amount. Attorney Carlos Rodríguez-Vidal is chairman of the Board of the Center for Investigative Journalism. This reporting was supported by a grant from the Leonard C. Goodman Institute for Investigative Reporting and is part of a collaboration between In These Times and Centro de Periodismo Investigativo.